Tastefully decorated in a coastal design. Located 1/2 mile from First Beach and Cliff Walk, 1 1/4 mile from town, 1/4 mile from Broadway and restaurants. This ocean community offers many water sports and historic sites. The suite is located near town, beaches, mansions,waterfront and Cliff Walk. The perennial gardens, pool, pool house and all that senic Newport has to offer. Great beaches, sailing, golfing, mansions, shops and great restaurants. Pool area has patio and pool house for registered the guests to enjoy. Two Bedroom Suite, Wireless Internet, Full Kitchen (two bedroom suite), Pak 'n Play, reading library, beach towels, beach chairs and boogie boards, Poolhouse great for hanging out during the day . Subject to availability by reservation after 6pm. unit with a queen bed, French Cottage design, French tiled showered bath, original hardwood floors, sliding French door with private deck three feet from the pool and gardnes. This quaint apartment was only outdone by its gracious owner and host. Whether it was the outdoor aesthetics, the pool, the pool house, to its incredibly clean rooms all with skylights this experience could not have been nicer. I was traveling for work but I could see myself enjoying a weeks stay here just to relax and enjoy Newport. As a bonus the location is incredible just a short drive or long walk to the beaches and downtown area. Thank you again to our amazing host! This place was nothing short of amazing! Cozy and quaint. Close to the beach and just a drive from the harbor. Charron and Jim were pleasant and accommodating. Couldn't have asked for a better place to stay! We will be back! Perfect for a family looking for an alternative to a Newport hotel. 2 good sized bedrooms with full kitchen and dining room. Charron was a great host and provided everything we needed. Would definitely recommend and stay again. We were visiting Newport to attend the Jazz Festival. Charon was a wonderful host. Not only did she provide us with many great choices for places to eat, we arrived to find a deliciously stocked fridge. The apartment, the pool made for a most relaxing and comfortable stay. We wish we could've stayed longer. Thank you Lee for the wonderful review....It was great to meet you and your family...Especially since you had stayed at our Siesta property! We loved staying at Charron’s apartment. It was convenient, quiet, and clean. The breakfast selection was a nice surprise, and her homemade quiche and baked goodies were delicious. We enjoyed the pool very much, and the hydrangeas and other flowers were gorgeous! You’ll love staying here! 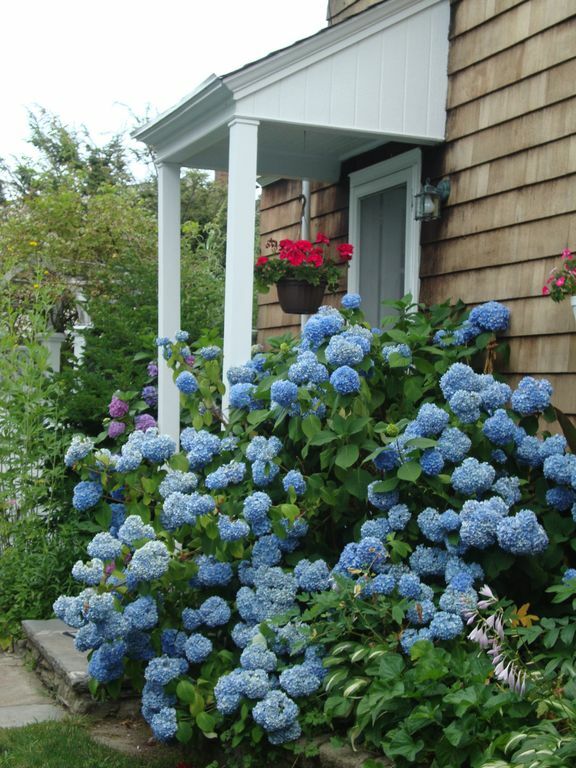 It was a pleasure to meet you and your family..so glad you enjoyed our signature quiche..and homemade breads..
Our gardens are a labor of love..the hydrangeas love the Newport soil! We were 4 adults for 4th of July to Newport and loved the place and the town. Charron is a great host, she gave us recommendations on where to eat and things to do. We enjoyed the pool and the beach, cliff walk which are all near by. This place is very close to everything. Breakfast was left for us in the fridge which we loved. Super clean, cozy, beautiful garden.